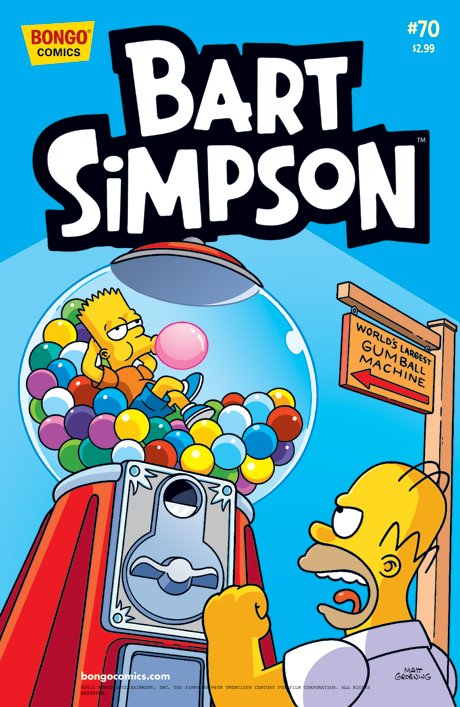 Bart Simpson #70 is the seventieth issue of Bart Simpson, released in April 2012. 1.4 What's Wrong with this Family? Marge and Lisa need to save Bart from himself - and his sugar addiction. The Simpson family go to the circus and find a mystery on their hands when they get home. With a little help - okay, more than a little help from Lisa - Homer is on the road to a promotion at the nuclear power plant. Main article: What's Wrong with this Family?